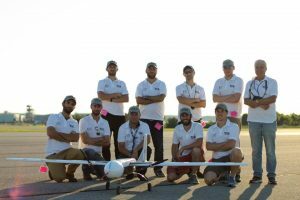 Technion placed 4th in the 14th AUVSI Student UAS Competition 2016 in the U.S.A. 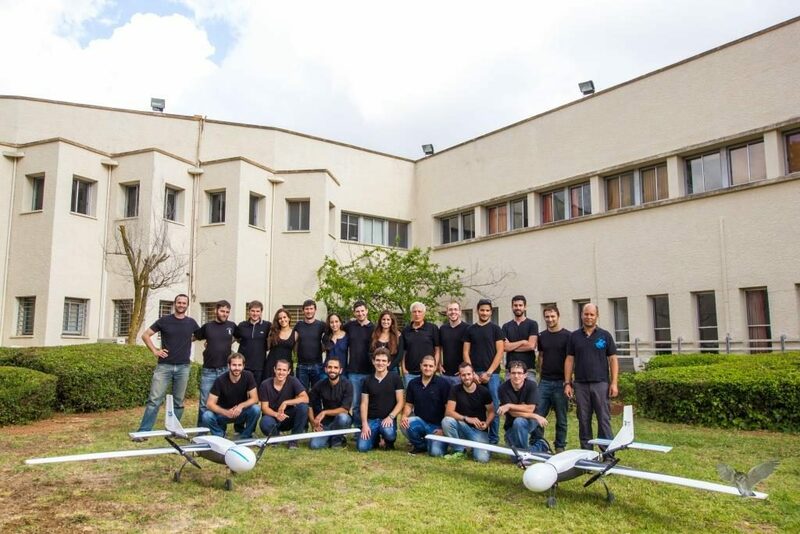 The Technion was placed 4th in the 14th AUVSI International Student UAS Competition for developing and flying an autonomous aero-system. Nineteen students from the Faculty of Aerospace Engineering and the Faculty of Electrical Engineering joined together to develop the system. 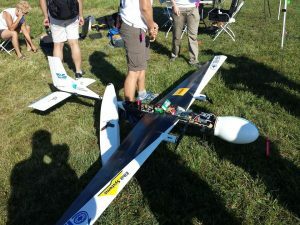 During the past year, the team developed an Unmanned Aerial Vehicle (UAV) system capable of autonomous take-off and flying, autonomous ground target identification, and performing autonomous air-drop missions, all of which make up an autonomous aerial system for a reconnaissance mission. For this mission, the students designed and built an advanced air vehicle made entirely of composite materials. 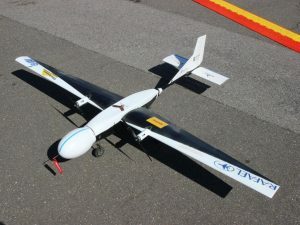 The students also developed a photography nose turret with a stabilized camera; obstacle avoidance algorithms (which enables the aircraft to sense and avoid virtual obstacles while flying autonomously); an algorithm for Automatic Detection, Localization and Classification (ADLC), which is based on a state of the art deep-learning algorithm and implemented on-board the aircraft using a lower power GPU platform; a mapping algorithm that enables continuous displaying of coverage area in real-time; and, of course, an advanced computer operating interface that enables the ground operation team (comprised entirely of students) to control and perform all the tasks. 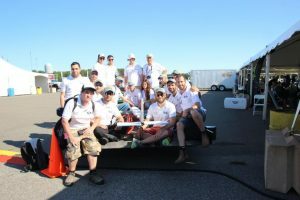 46 universities began the competition, but due to the high level of requirements and challenging tasks (academic and engineering), only 24 teams made it to the Flight-Line and actually demonstrated a flying system. 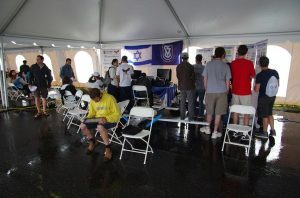 Our team took first place for the engineering report (Journal Paper) summarizing the development (25% of the grade in the competition), the first place for the presentation of the “Flight Readiness Review (FRR)” (another 25% of the grade in the competition), and the fifth place of the flight missions tasks – which gave the Technion team fourth place overall. 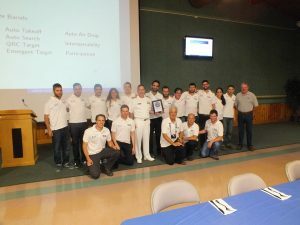 In addition, our team was awarded a citation for the excellent “Pre-Flight Briefing” given before the flight – a briefing which was presented by the judges during the Awards Banquet Ceremony and strongly recommended by them to be studied and emulated by all teams in future competitions. The project was supervised and directed by Dror Artzi – senior adjacent lecturer from the faculty of Aerospace Engineering, with great assistance from the very skilled Amit Aides from the faculty of Electrical Engineering and Evgeny Gutnik from the faculty of Aerospace engineering. The student Eliran Eyal was the project’s “Team Captain”. Very significant support was given to the project by the Vision and Image Sciences Laboratory in the faculty of Electrical Engineering, headed by Johanan Erez.